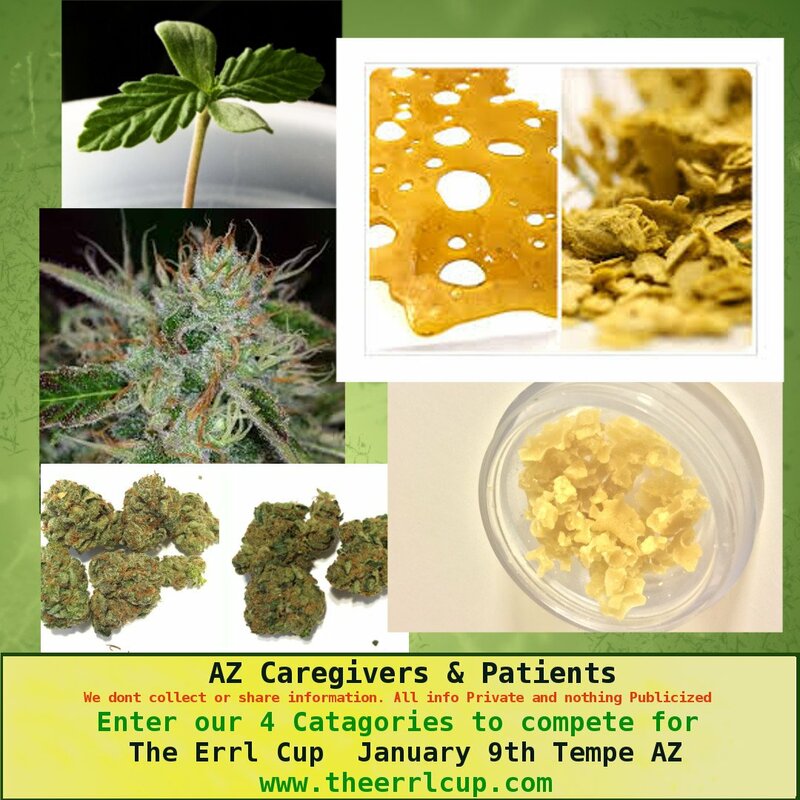 Arizona MMJ Patients can enter the Errl Cup in the Patients Class. Here is a little bit about our event. 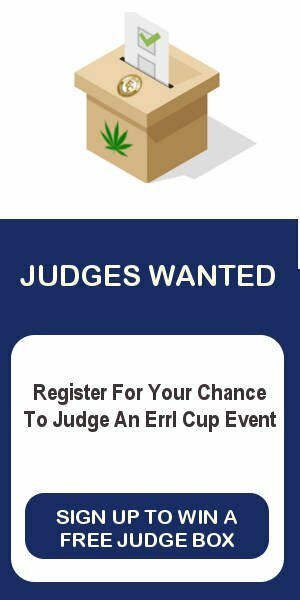 The Errl Cup was established for the patients by patients to have a competition to determine the best marijuana/cannabis medicine in the State of Arizona. Our competition will be open to every Arizona Dispensary and any MMJ Card Holder. The Errl Cup brings the values of providing patients in Arizona set of standard for dispensaries and the type of medication given to patients, the quality of medication the patients receive and accurate medication for patients aliments. Dispensaries and Arizona MMJ card holders can enter their flowers, concentrates, e-juice, and CBD in 12 categories for Dispensaries and 4 for Open Arizona MMJ Patients. The Errl Cup will be award to the 1st, 2nd and 3rd place winners in each of the Categories for Dispensaries and for Open Class. This one day event will be for Arizona MMJ patients and will be free of charge to any valid Arizona MMJ Patients. Patients can come and see our variety of vendors presenting their products and allowing patients to test their products free of charge. We will have entertainment, live music, food, a medication area, a non-medicated area, an awards show, a judging event, and many other marijuana and non-marijuana products, service, and information to better educate and inform our valued patients in Arizona. This will be a medicated event, where patients can bring up to one ounce of personal medication to The Errl Cup. The Errl Cup will not allow any transfer of cash for medication of anytime, this event is free of charge and WILL NOT ALLOW THE SALE OR THE INTENT TO SELL AT THIS EVENT. Anyone failing to follow this will be removed from the event and appropriate action will follow. How can Arizona MMJ Patients Enter the Errl Cup? Its easy, click on this link Patient Information to find out more information and here is a link to our entry form. We love patients so it the cost is very low. How do I give The Errl Cup the documents? There are a few ways to get your entry form and Arizona MMJ card and AZ ID to The Errl Cup. The easiest way is to fill out the documents and then upload them in the Menu under Patients, click on Upload File or click this link Upload File. Will you give out my information? No. The Errl Cup respects our Patients and will never give any information regarding attendance, entry or any other patient information that might be requested. We love our Patients.